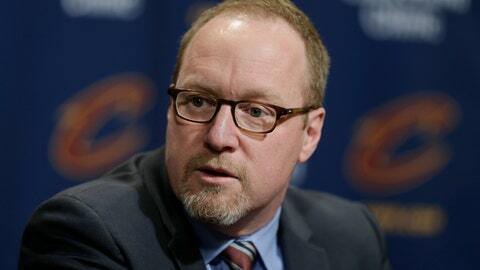 NEW ORLEANS (AP) — The Pelicans have reached an agreement in principle to make former Cleveland Cavaliers general manager David Griffin New Orleans’ new executive vice president of basketball operations, three people familiar with the situation said Friday. Griffin will take over for former Pelicans general manger Dell Demps, who was fired in the middle of his ninth season with the club — a few weeks after All-Star Anthony Davis‘ trade request in late January. Griffin’s agreement to join New Orleans, which was first reported by ESPN, puts him at the center of the club’s effort to find the best deal for Davis. Griffin also could decide the fate of Pelicans coach Alvin Gentry, who has two years left on his contract. The 45-year-old Griffin was the Cavaliers’ GM from 2014 to 2017, during which LeBron James returned from Miami to Cleveland and the Cavs won an NBA title. The highlights of his tenure included a trade that brought star power forward Kevin Love to the Cavs. But Griffin’s contract was not renewed after the 2016-17 season and James joined the Los Angele Lakers in free agency a year later. Griffin also worked in the Phoenix Suns’ front office from 1993 until 2009, a stint that overlapped with Gentry’s time as both a Suns assistant and head coach. “He’s kind of been the guy who has let us grow,” said Pelicans guard Jrue Holiday, who is coming off the best season of his 10-year NBA career. “I know he has for sure let me grow. He’s given me responsibility … and when he saw me succeed in it, he asked for more. Starting forward Julius Randle and starting point guard Elfrid Payton both will be free agents. Randle is coming off of the best season of his career — averaging 21.4 points and 8.7 rebounds. He credited the Pelicans with fostering his development and said he’s open to coming back.